Fueltone offers a range of additives and engine treatments that prevent and solve problems that commonly affect the operation of an engine. 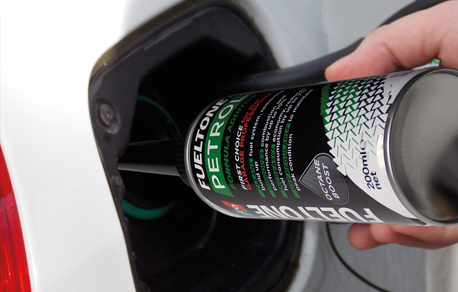 Whether it be diesel or petrol powered, Fueltone offers tools that support mechanics to do their job and fleet owners to cut their costs. The range can provide an alternative to many mechanical repairs which can be resolved by judicious use of chemical treatments. They are affordable and easy to use and can save time and money for both the service centre and the customer. Fueltone is an innovator in the field and was set up to produce best in class products that are a trusted first choice. The first products were developed in 2012 and we took the unusual step of carrying out a suite of independent tests that initially were to ensure we were making products that were going to do a great job. These test results have proven invaluable to our customers and allowed us to bring a new product range to a very competitive market place. All tests followed the standard European Drive Cycle which ensures consistency and repeatability. We spent the next few years engaging with the garages across the country, where a vast number of real time trials were undertaken. This proved invaluable as it has allowed us to gain insight into our customer needs and to tailor our product development to meet these needs. It has also given us a bank of reviews and testimonials from our customers which has proved invaluable to us as we move into new markets. Fast forward to today and we have a portfolio of products that will meet most repair and service needs and a large number of customers that are advocates of the brand. We will continue to develop our distribution networks as we strive to make the highly successful Fueltone Pro range available wherever you may be located. Our primary focus is car, commercial and fleet users and we are confident we have the products to suit their needs. We are HQ’d in Aberdeen and all product development is carried out by our expert chemists and Fueltone management team in Scotland. Manufacture is UK based which allows us to manage the supply chain effectively, allowing us flexibility and responsiveness whatever the demands of the market. Following a series of tests run on two used Ford Transits, our report outlines the test procedure and summarises the results. A best fuel consumption improvement on the combined drive cycle of over 9% (change from a low of 34.48mpg to a high of 37.63mpg achieved after mileage accumulation). Exhaust particulates reduced by 86%. A short wheel base transit was subject to the European Drive Cycle in pre and post treated form. The results achieved were significant and the highest improvement in mpg was in the combined cycle. 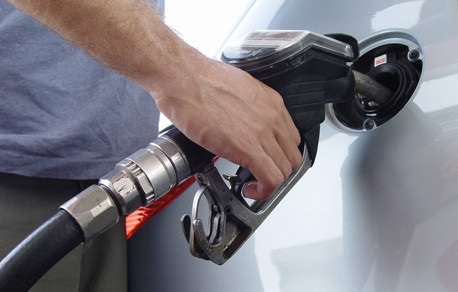 An improvement in fuel consumption of 14%. Levels of CO were significantly reduced. Exhaust particulates were reduced by circa 50%.